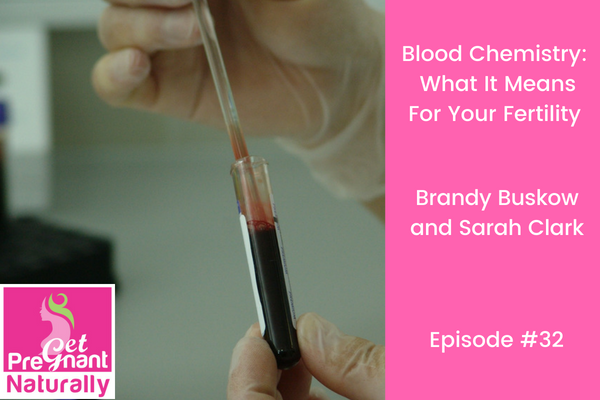 Today I’m welcoming Brandy Buskow to the podcast today. We’re digging in blood chemistry and looking at the results using the tools of functional medicine. Check out episode #6 for a functional medicine 101 talk plus a look at some of the tools we use to help couples conceive. Brandy is Functional Diagnostic Nutrition Practitioner and Certified Transformational Health Coach and EFT Practitioner. She loves supporting women so they can learn how functional medicine addresses the underlying cause of disease or illness. This episode is a game changer! Glancing down a lab report and saying everything is “normal” because it falls within a pathological (levels for people with disease) reference range is a huge disservice to the patient. When we use functional reference ranges (which are for healthy people)…we can uncover CLUES as to WHY…and most of all take targeted action steps. My mission is to educate and empower you! It’s time to dig deeper….it’s time for a second opinion! This episode is a must listen for everyone struggling with infertility…but especially important if you have unexplained infertility…because with functional medicine there are CLUES! Why magnesium levels are important for fertility, simple steps to improve your levels and why 80% of us are deficient. What low vitamin D (a high percentage of the women we work with have low Vitamin D) really means for your fertility…what to do about it…how to investigate further. Why supplementing is not enough! Why asking for a full thyroid panel is essential. What is missed and why it is important for fertility. What do thyroid antibodies really mean? MTHFR and your fertility. Simple steps to take if you have this gene…how it can be linked to repeat miscarriage and unexplained infertility. What you could be missing. Plus we discuss B12, iron, glucose, lipids and more.